In this topic, you can share screenshots from movies with bicycles. If you add rating on your post, it'll be better. "April 9th" Danish Film (subtitled in English) free on Prime Video. 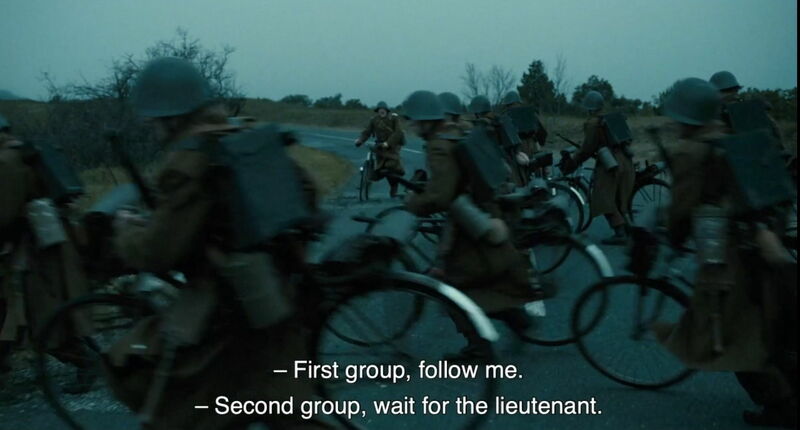 Bicycle based rating is ***** Bicycles are used by lots of the characters in this interesting war film. In the early morning of April 9th 1940 the Danish army is placed on high alert. The Germans have crossed the border and Denmark is at war against Europe's strongest army. In Southern Jutland, Danish bicycle and motorcycle companies are ordered to go against all odds and hold back the forces until the Danish reinforcements can be mobilized. This is their story and based on real events. 2001(?) Merida Kalahari 610 from "Beijing Bicycle"
Guei has just arrived from his village. He is 16. He finds work with a delivery service that cleans him up, clothes him, and lends him a bicycle: a magnificent silver mountain bike. The company pays well, but Guei must pay part of the money back to buy the bicycle on which he spends the better part of his days. One day when Guei has almost finished paying for it, the bicycle disappears, stolen from in front of a building where he is delivering a package. Without his bicycle, Guei no longer has a job. 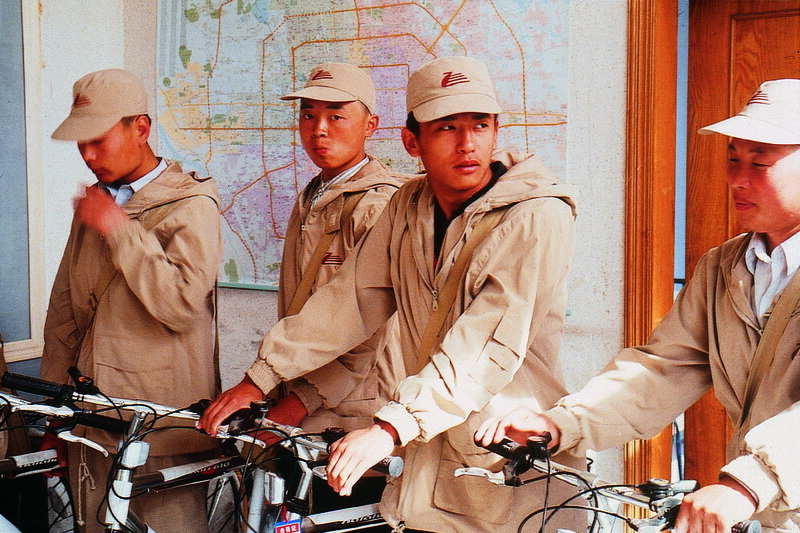 So he runs all over Beijing in search of his bicycle. But when, miraculously, Xiao Guei finds it, Jian is riding it. 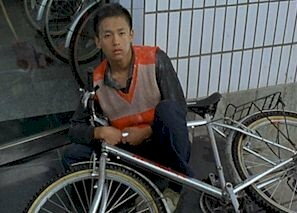 All he needs to do is steal his own bicycle back, but Jian doesn't see things the same way. He bought this bicycle at the flea market. They will just have to learn to share.